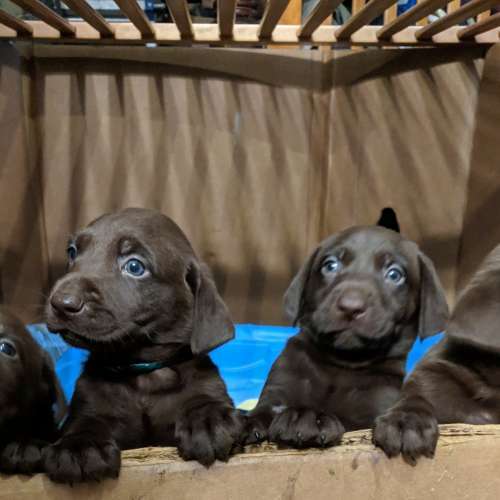 7 week old very well bred chocolate lab pups field trial and hunt test bloodlines . The sire is a hunt test dog he has produced several hunt test titled offspring. and the dam is a hunting dog. Both are excellent family dogs. Dew claws have been removed and on schedule on worming. will be vet check and UTD on all shots April 20, 2019. Please contact James with any questions at (985) 969-4479.